On Monday, I gave you some tips to handle a coming storm. For many of my fellow Floridians, today they are waking up to the wake of Hurricane Michael. In these times of distress for so many consumers, they look to their insurance professionals for advise and guidance in this difficult time. You've probably dialed a customer service number that sent you into a maze of options, where your only hope was to reach a live operator. If you're calling to discuss the intimate details of a health or life insurance claim, you'll want the person you reach to be knowledgeable and friendly. Customer service is one of the most important aspects of our business. That's why this is a key area to improve customer retention and be the trusted adviser in your community. 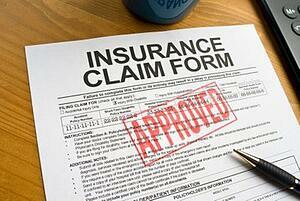 Here are five ways to advance your customer’s experience when handling claims calls. Every Customer Service Representative must have a strong sense of personal confidence. It's the kind of job that requires people who are wired that way. Why? Representatives should be confident they can answer any question or solve any problem the customer may have. It requires a combination of creativity and expertise with systems and tools. In order for Customer Service Representatives (CSR’s) to have that confidence, be sure they get all the training and tools they need to answer questions and solve problems with ease. Another way to keep up confidence is through quarterly system training. This presents regular intervals for CSRs to learn about software updates, new best practices, and train on the new products they'll be supporting. After a CSR has mastered the basics, ongoing training is essential to stay on top of the game. Not only that, but when you're on the phone or have a customer in front of you at one of the scariest times in their lives, your CSR will have all the skills they need to do the job effortlessly. Let’s face it, people dread contacting and speaking with CSRs because, too often, the representative's responses are uncaring or robotic. Encourage your CSRs to engage in productive and successful conversation by developing their soft skills: communication, adaptability, problem solving, conflict resolution, and critical observation. These soft skills create a positive experience for any customer. In a time when CSR's are handling a lot of incoming insurance claims call, they will handle a wide variety of calls from people who may be frustrated, grieving, or confused. Soft skills training helps reps hone their instincts to balance compassion with accuracy. Recorded calls and simulations are a great way for CSRs to learn the appropriate response to any situation. Angry or upset customers expect their inquiry to be addressed right away. However, the person to whom they are venting is only human, too. That's why it's important to create a positive environment for each CSR to help keep spirits high. After a tough call, it's important that he or she feels the support of the entire department. Some of the ways to do this include lunch contests, team breaks, healthy treats available for all of your CSRs, performance-based competitions, and mentor-ship. You could also recognize your outstanding CSRs by selecting a "Super Hero of the Month." The Super Hero of the Month gets free lunches every Wednesday for that month as well as a decorated, framed photo that is placed in the agency. It's fun, and it highlights the individual contributions of each rep. I've found that two types of coaching improve CSR performance: peer-to-peer coaching and supervisor coaching. Both methods are triggered by actual calls. Peer-to-peer coaching is a semi-formal arrangement that allows CSRs to ask their peers certain types of questions instead of going to their supervisors. Think of peer-to-peer coaching like a Big Brother/Big Sister mentor program. This type of coaching also lets CSRs grow closer and become comfortable working with each other. Some employees feel more comfortable asking a peer a question rather than a supervisor. Peer-to-peer coaching results in measurable impact through quick performance tweaks. Supervisor coaching is a very powerful type of coaching that can change the way a customer service department operates. While most companies will record calls at random, Avenge Digital records all incoming calls for agents to use as a training tool. This allows supervisors to listen to calls and provide immediate feedback. After listening to the recorded calls the supervisor and the CSR can detail specific ways to be more effective. Working with individuals also allows supervisors to spot trends across the CSR department as a whole, and then work on those weaknesses as a group. So, why the fixation on quality? Through daily reports we are able to quickly find areas that can be improved, while monthly reports allow us to see overall trends and track data on a higher level. Great numbers on key metrics contribute to better customer retention and improved revenue for our clients. When it comes down to it, there is no easier way to say it than when your clients suddenly need to make a claims call, your agency will be who they call. Having a team of knowledgeable, up-beat, and helpful staff will make one of the most difficult days in their life one that is just a little bit brighter because of the efforts of your team. Tell us what you think? Any tips you have on when your team handles an influx of more calls? We want to hear from you!